Why not rent Vivenda Miranda for your private exclusive use for a weekend, consecutive weekdays or for even longer periods. No matter what the occasion, a wedding, birthday, anniversary, business meeting or just a family get together or party this stunning venue can now be booked for your sole use. The Residence comprises 24 rooms/suites, split between two buildings surrounded by beautiful gardens boasting spectacular sea views. Full restaurant service for the duration of your stay is available as well as use of the sauna, steam room, spa pool and an extensive range of relaxing treatments in our organic Neal’s Yard Remedies Spa. Vivenda Miranda offers the ideal informal environment for your private events such as corporate meetings, hospitality, team building, company incentives, product launches, presentations, or sales promotions. From your initial consultation to your last guest leaving, you will have ongoing support from our hotel team. 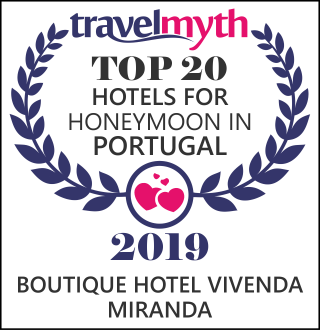 Stylish and historic Vivenda Miranda is the perfect place for weddings or civil ceremonies, set within the stunning natural landscape of the Algarve cliffs with beautiful gardens and spectacular views of the endless Atlantic Ocean and dramatic coastline. Exclusive rental of the Vivenda Miranda Residence is available including accommodation for a maximum of 50 guests, all services and wedding planning support. Vivenda Miranda provides a fantastic location and beautiful environment with excellent facilities for you to host your dream event. Whether it’s your special engagement, baptism, birthday, anniversary or a family celebration, we can provide the ideal venue for a perfect party. Looking for the ideal rural country escape for your private party or group? Our Country House Quinta das Barradas is also available for your exclusive, private rental. Surrounded by beautiful fauna and flora, with the majestic Monchique hills and the poetic River Alvor as backdrop,the Quinta is the perfect place to celebrate, especially with children!